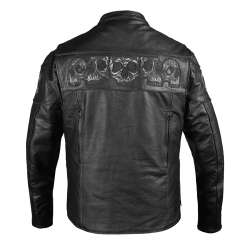 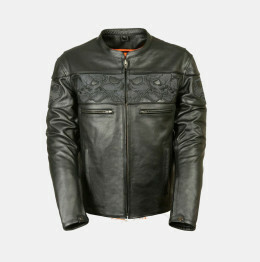 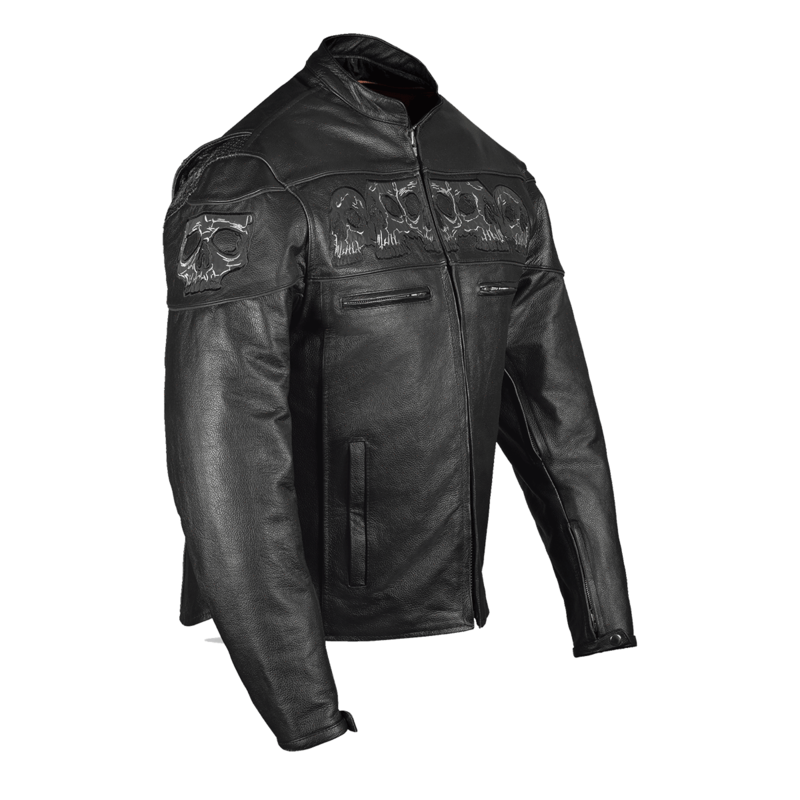 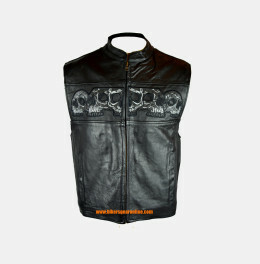 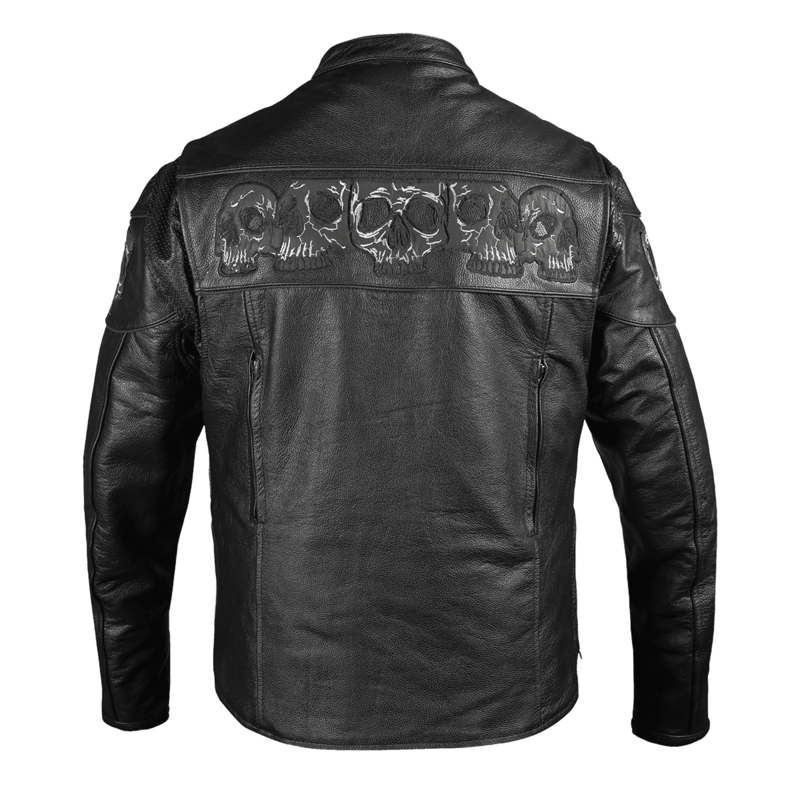 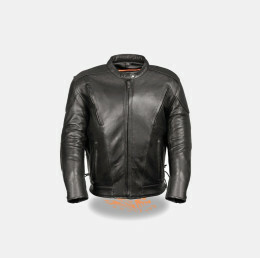 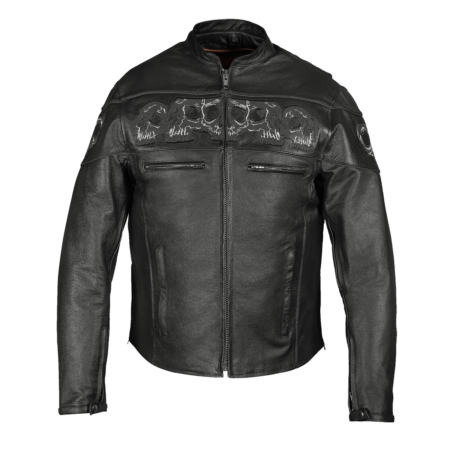 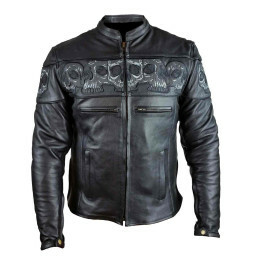 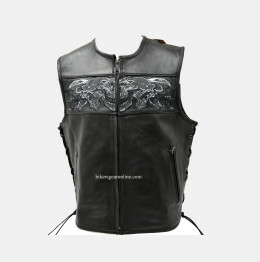 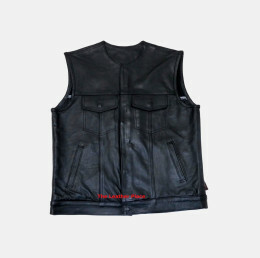 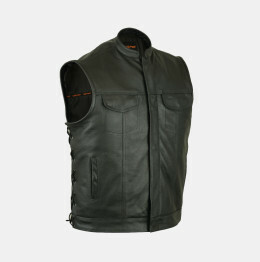 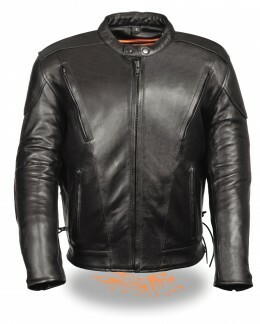 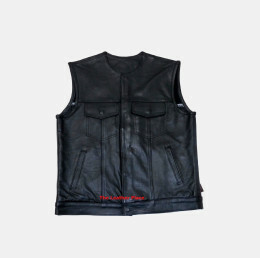 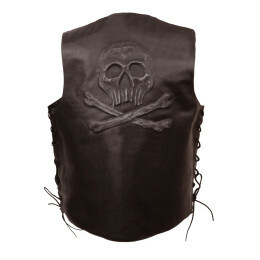 The Reflective Skull Leather Motorcycle Jacket is a must have for the riders who love the combination of sporty and cruiser. 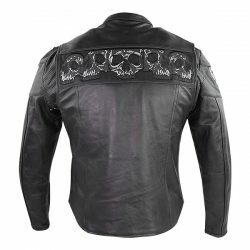 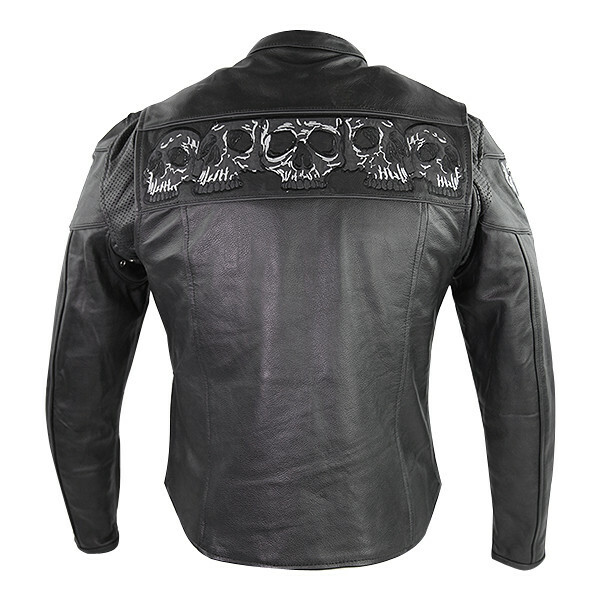 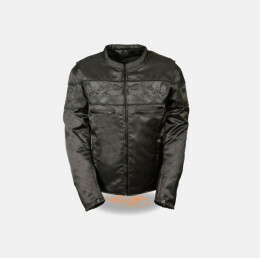 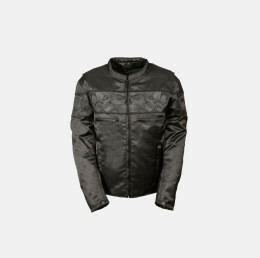 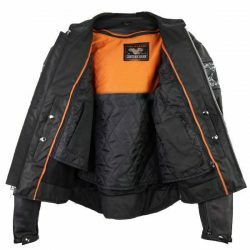 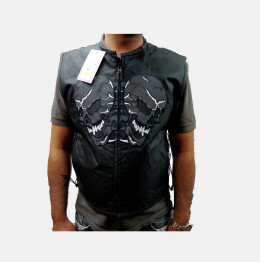 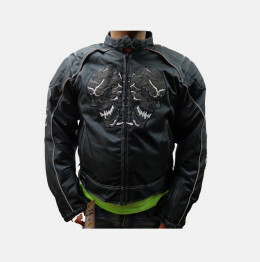 This jacket has a distinct reflective skull design on the front and back which will definitely make you stand out in the crowd; especially at night. 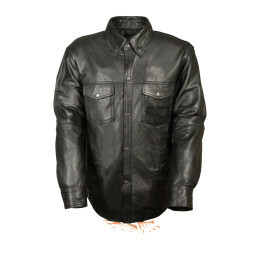 Use image above as reference. 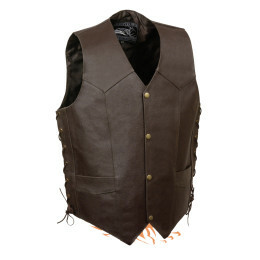 Please use a cloth tape measure to measure the circumference of your chest. 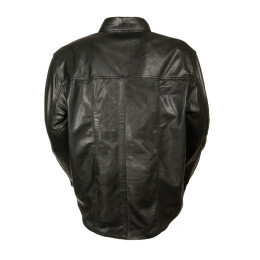 Remember to leave space for clothing worn under jacket.